These are my third and fourth versions of the Sewaholic Renfrew pattern. My wardrobe is lacking in casual tops that are suitable for Fall/Winter. The Renfrew top is perfect for filling in that gap. 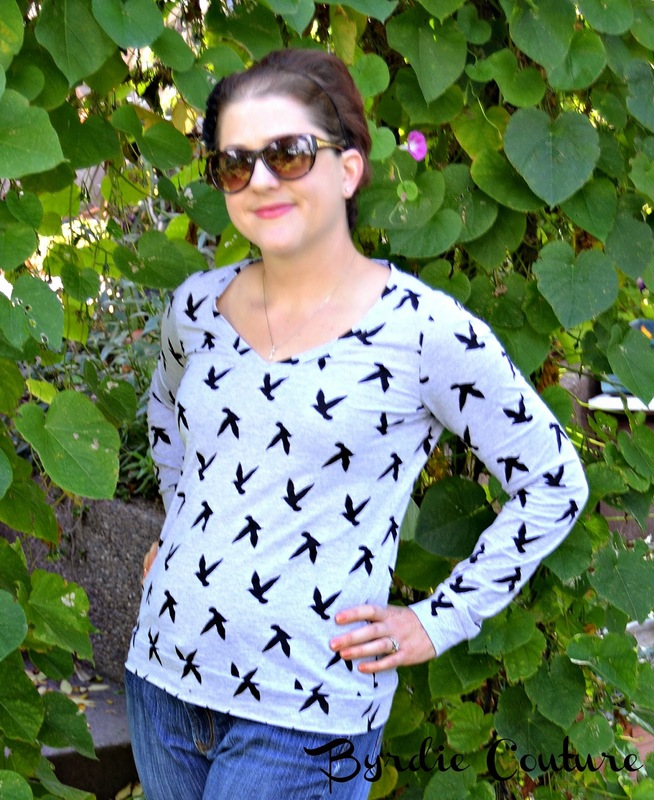 I made the long sleeve version with the V-neck (my favorite neckline). My original review is here. I've lost some weight since then so I went down one size. I left the length as is. They went together quickly and easily, each taking less than two hours on a conventional machine. Aren't the prints cool? They were both from Girl Charlee Fabrics. 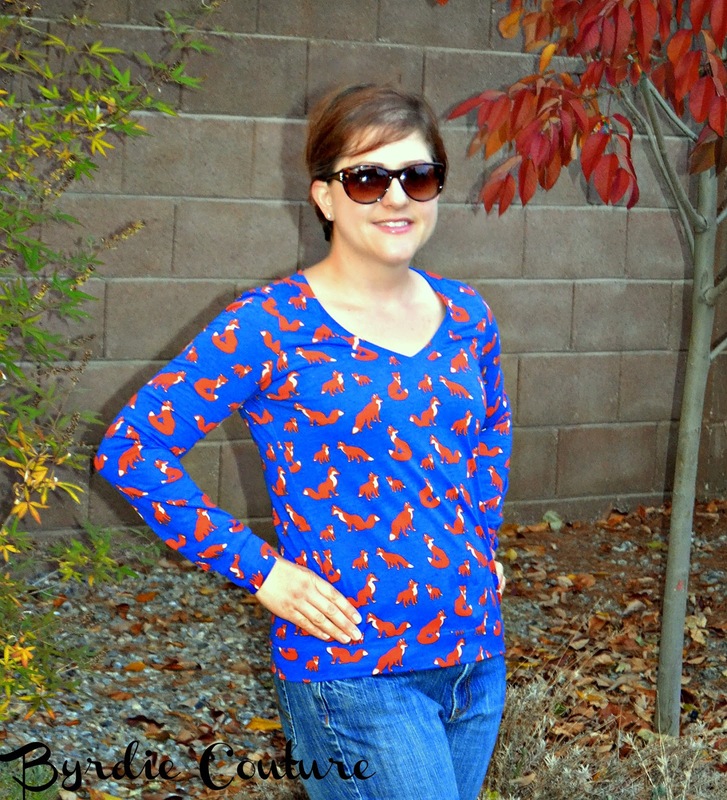 The fox print can be found here, and the bird print can be found here. They are each available in other color ways as well. What basics will you be adding to your wardrobe for the cooler weather? I just recently purchased that pattern. Love how it turned out. Can't beat a Renfrew! Your fabric choices are gorgeous.